The human body harbours around 100 trillion microbial cells. Our gastrointestinal tract (gut) alone hosts thousands of different colonies of microbes. Not all these microbes are harmful; in fact many work to keep us healthy. So, when nature has bestowed us with an army of millions, why not keep them in good shape, asks Ramkrishna Singh, a researcher with the IITB-Monash Research Academy. Ramkrishna is working on a project titled, ‘Development of health foods from xylan-rich sources’ under the supervision of Prof Amit Arora (IIT-B) and Dr Jane Muir (Monash University). His aim is to study different microbes for their ability to ferment / use oligosaccharides as a source of energy and the metabolites produced thereupon. And this is where prebiotics — which serve as a food source for these microbes — come in. 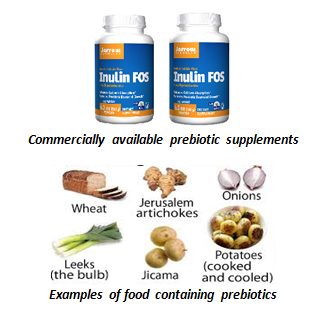 While probiotics are “good” bacteria that help keep our digestive system healthy by controlling the growth of harmful bacteria, prebiotics are a special form of dietary fibre that act as a fertiliser for the good bacteria in our guts. Foods such as chicory, artichoke, garlic, onion, leek, and asparagus are rich sources of prebiotics. Regularly consuming these can be useful in containing inflammatory bowel disease, improving mineral absorption and glucose and lipid metabolism, reducing the risk of pathogenic infection and diarrhea, and improving body weight management. Prebiotics like xylooligosaccharides (XOS), which Ramkrishna is working with, can be used as an ingredient for fortification of dairy products such as yogurt; baked food products including bread, pasta, pizza dough; and fermented products like idli. Essentially, they are a white, soluble powder and hence can be used as an ingredient for multiple homemade dishes. The biggest advantage that xylooligosaccharides have over other commercially available prebiotics like fructooligosaccharides, inulin, galactooligosaccharides or lactulose is that they can be obtained from residues discarded as a result of agricultural, horticultural, forestry, or industrial activities. The IITB-Monash Research Academy is a collaboration between India and Australia that endeavours to strengthen scientific relationships between the two countries. Graduate research scholars like Ramkrishna study for a dually-badged PhD from both IIT Bombay and Monash University, spending time at both institutions to enrich their research experience.